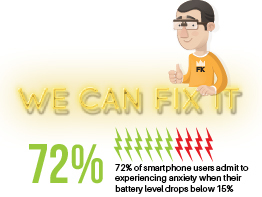 Batteries not holding charge is one of the most common faults found with phones and tablets. There can be multiple reasons why your battery does not last as long anymore. Rest assured, Fone King can have you back in action quickly. which equates to roughly 12 months of standard usage. You don’t have to let you battery drain to 0% before charging it again. New lithium-ion batteries are best kept between 40% and 80%. 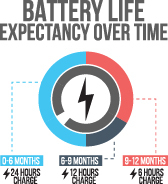 Leaving your device charging overnight does NOT reduce the battery lifespan. Once fully charged, the device switches to “trickle charge” mode which has a minimal impact on the battery.